Be part of the Suva crew! To preserve the maritime heritage and traditions of Coupeville, Penn Cove and Whidbey Island through education and public awareness. 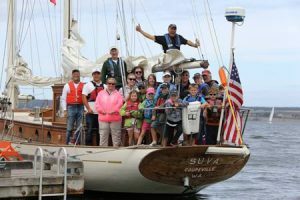 The Coupeville Maritime Heritage Foundation was founded to preserve the maritime heritage of Coupeville, Penn Cove and Whidbey Island through education, outreach, and public awareness. The schooner Suva, originally built for Coupeville resident Frank Pratt in 1925, is owned by the CMHF, whose carefully trained volunteer hosts and crew members proudly operate Suva according to Coast Guard regulations. Whidbey Island enjoys a rich maritime history with countless stories dating back to the discovery of the island in the late 1700’s. It is our hope to gather these stories and experiences and share them far and wide, making new ones along the way. For members who wish to support the CMHF and Schooner Suva at a higher level, the Admiral membership is available for $600 ($50 Monthly). An Admiral membership accords you the privilege to sail with 3 friends on a scheduled Suva event on two separate occasions, or opt for a private 2 hour sail with up to 10 guests. You will also receive advanced notice for Suva Supporter special sails. Download a membership application now! Youth memberships are available($25). Youth members may accompany adult members on membership sails. 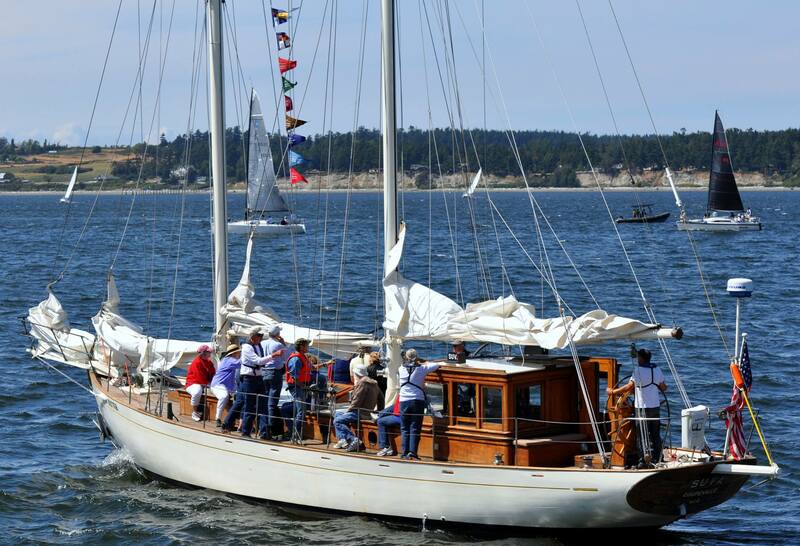 Youth members 12-16 years old may participate in Crew and Sail training with a sponsor. 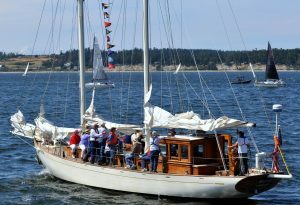 For additional membership information, and to arrange private sail events, visit schoonersuva.org or call (360) 320-4337. Copyright © 2018 Schooner Suva.